It is a distinct pleasure to be co-leader, with Lori Johnson, of the inaugural Photowalk at Lake Junaluska, sponsored by the Haywood County Public Library. Our goal is an enjoyable and helpful experience for all participants, with no restrictions as to camera equipment or skill level. The walk was conceived and organized by Adult Service Librarian, Kathy Olsen. Kathy will accompany us on the walk and join us afterward at Bocelli’s restaurant in Waynesville (319 N. Haywood St.), where we will share our images in a convivial atmosphere. I’m really looking forward to meeting a diverse group of interesting people who share a passion for photography. The date and time are April 12, from 4-6 p.m. Remember to sign up if you wish to participate. My original plan was to write a couple of blogs leading up to the Photowalk, with some basic tips for taking better photos. I changed that plan for three reasons: First, the diversity mentioned above makes it hard to write tips that are appropriate for everyone. Second, there is already an abundance of basic-to-advanced photography information online. You can readily find excellent written or video tutorials dealing with just about any photographic topic. Here’s a link to a very good instructional website, which I’ll repeat at the end of this post. Third, I’m confident there will be other experienced photographers joining us who will be happy to answer questions and offer ideas and suggestions. So I think we’re covered in the photography tips department. 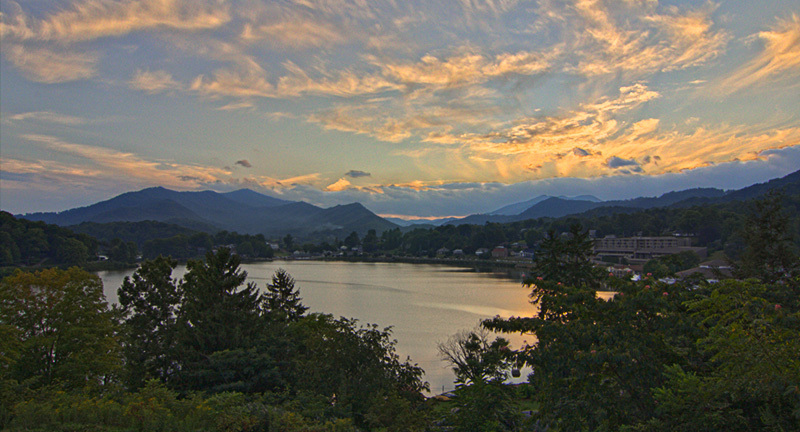 But there is something I can contribute — a perspective on Lake Junaluska, where I have been taking pictures for almost 13 years. So just let me say that in IMHO there are very few, if any, locations in Western North Carolina that offer as many varied opportunities for capturing beautiful images. For starters, there’s an exceptionally wide range of subjects to photograph. 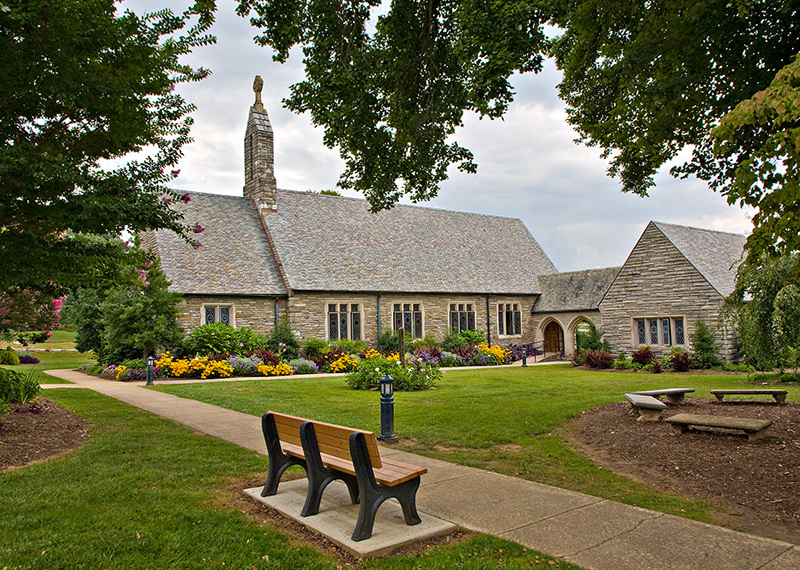 Here’s a partial list: a great variety of well-maintained flowers in attractive settings; the beautiful, lakeside Rose Walk with its rail fence; a colonnade next to the Rose Walk; morning mist rising from the water; gorgeous sunsets reflected in still water; mountains in the distance; gardens and statues; a small waterfall; impressive old homes and historic buildings; Memorial Chapel (which is made of stone); the huge lighted cross above the amphitheater overlooking the lake; Inspiration Point, in the shadow of historic Lambuth Inn. Did I mention those reflections in the still water? 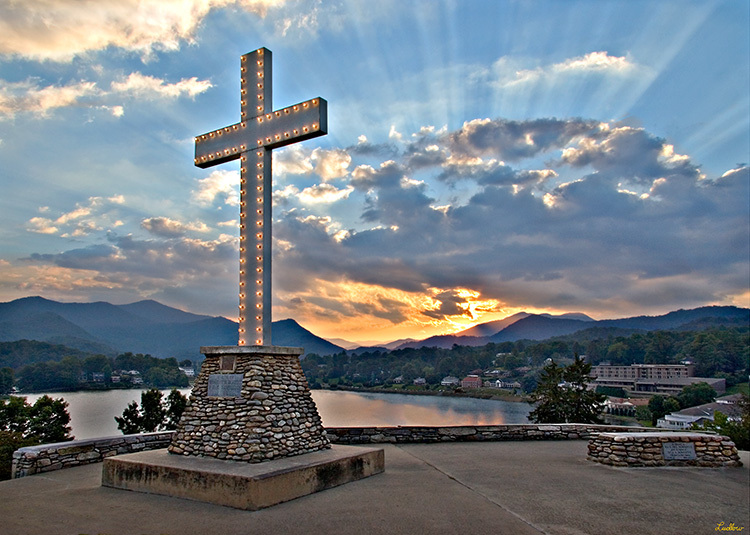 Somehow, to me, they seem to capture of the spirit of Lake Junaluska. 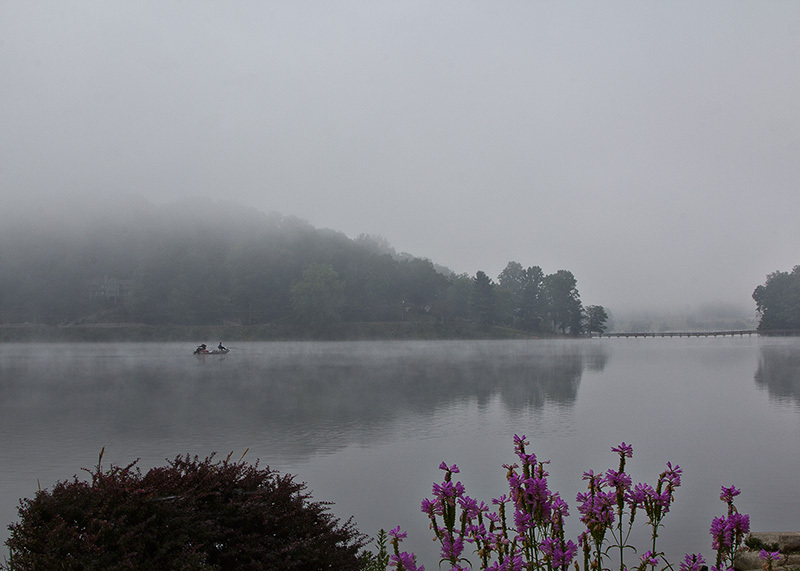 (You might enjoy my previous post, Reflective Moments at Lake Junaluska.) And did I mention mountains in the distance? Then there are the changing seasons, each dressing the Junaluska landscape in new hues. Flowering trees burst into bloom in early spring; rose bushes bloom in spring, growing taller throughout spring and summer; tall torch lilies (red hot pokers) make their appearance later in spring; and then in summer come Turk’s cap lilies, passion flowers, and giant mallows the size of dinner plates. 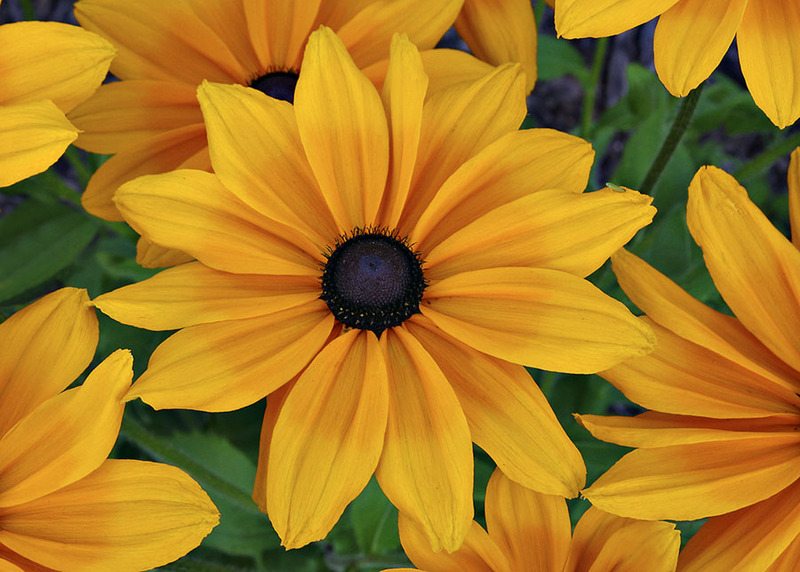 Other blooms you’ll see include black-eyed susans, stargazer lilies, passion flowers, trumpet flowers, mimosas . . . just seems like flowers everywhere you look. 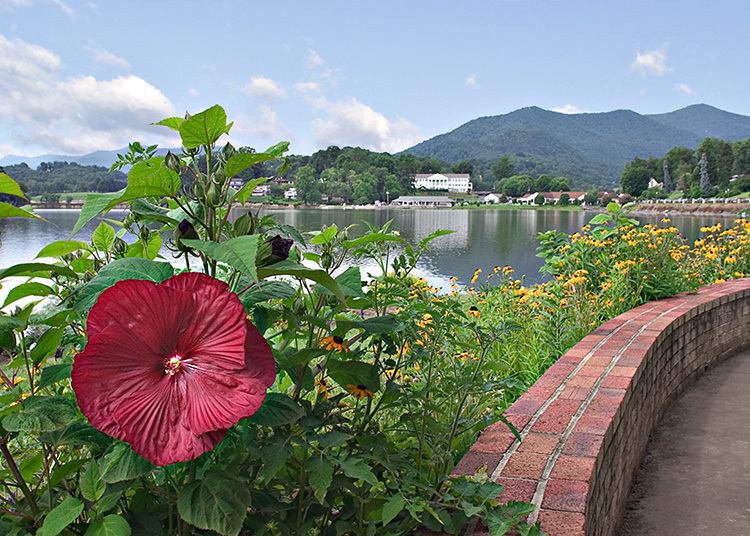 And that is not an accident: Lake Junaluska employs a talented horticulturalist and landscape staff. On the Photowalk we’ll be spending most of our time along the paved, 2.6-mile walking trail that circles the lake and crosses two bridges. The walk can be extended to 3.7 miles by taking a fork that goes along the highway for about a quarter of a mile. We won’t begin to have time to see everything, but that shouldn’t stop you from returning again and again at different times of day (and night) and in different seasons. That’s the only way to take full advantage of the photo opportunities the lake has to offer. These are the kinds of things I plan to mention as our walk progresses. Here’s a guide to the walking trail published by the Lake Junaluska Conference and Retreat Center. If you visit the lake often enough and you’re alert, you may occasionally encounter a surprise. 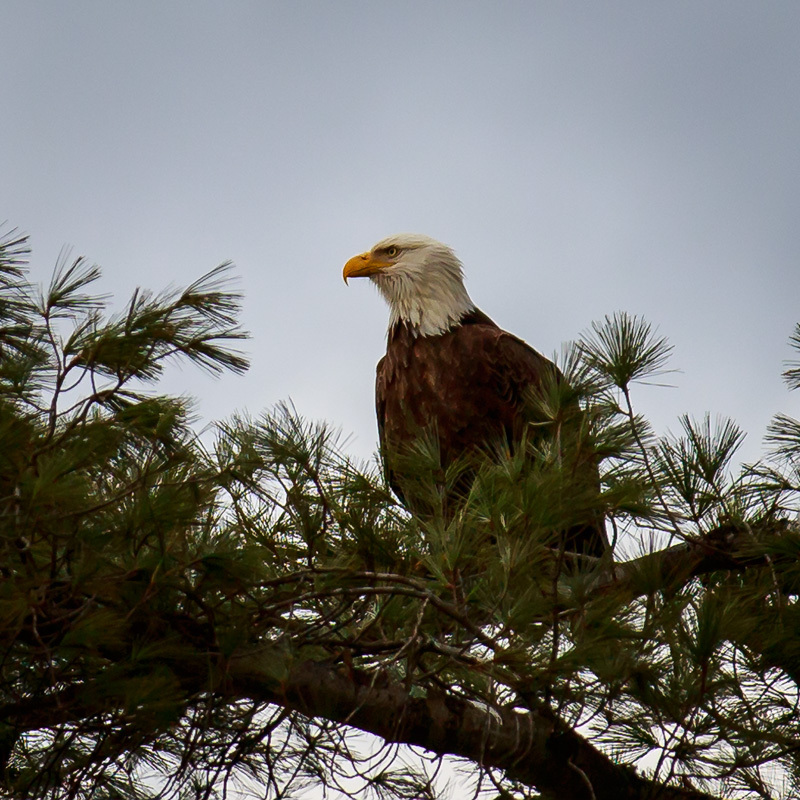 This past winter had local photographers all agog about the bald eagle that took up (temporary) residence. My friend and fellow photographer Bill Killillay, who often walks around the lake with his wife, Meghan, generously gave permission to use one of his fine images of the Lake Junaluska Eagle™, who seems to have moved on for now. The Wikipedia entry on this formidable bird of prey is absolutely fascinating! For one thing, you’ll learn why it’s called a bald eagle, when it’s obviously not. You’ll also learn which gender is significantly larger than the other, how their eyesight compares with ours, and many other remarkable facts about the United States’ National Bird. I sure hope this guy, or one that looks just like him, returns. 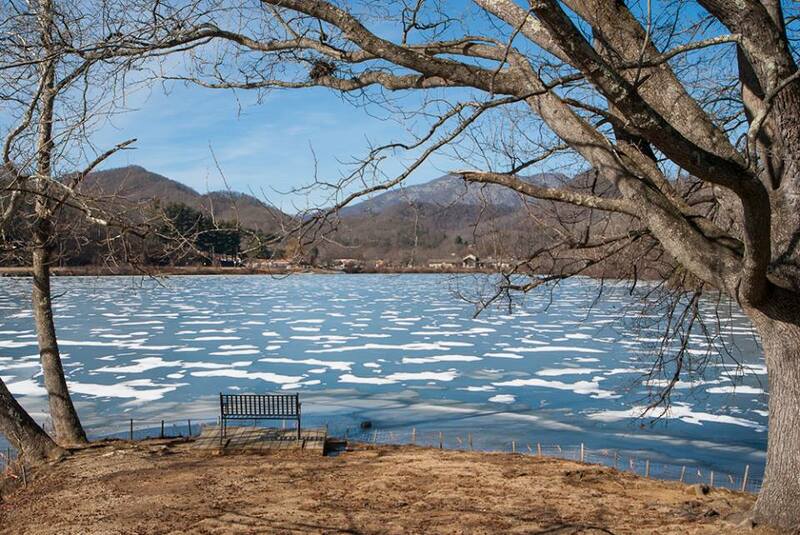 Winter is the least photogenic season at Lake Junaluska, but a good snowfall can transform it into a wonderland. There are also great sunsets at that time of year, so if you’re here, keep an eye on the sky! And cold temperatures can sometimes produce interesting effects, as in this fine photo by our co-leader, Lori Johnson. And while you’re thinking about different seasons and times, don’t forget nighttime, which is often underrepresented or completely neglected. 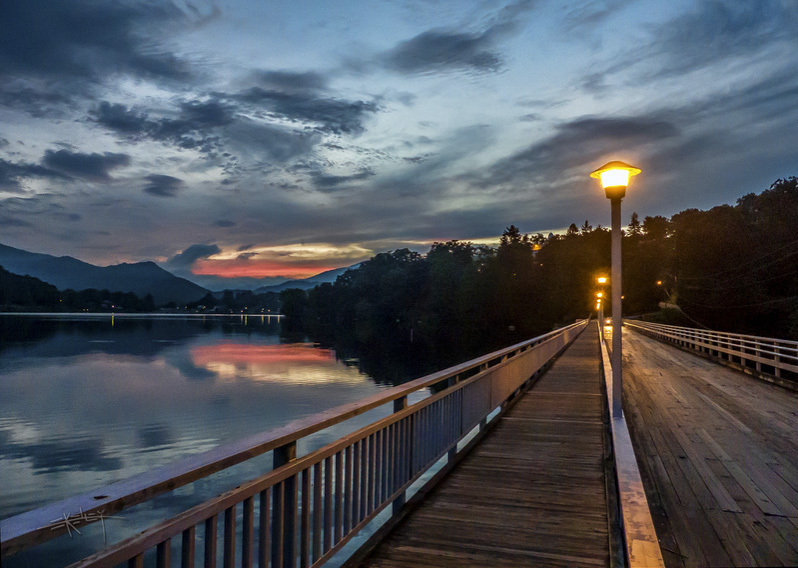 Here’s a night shot of the bridge at Lake Junaluska where master photographer Ed Kelley shows us how it should be done. Okay, that’s about all I have for now, except for the following photos that illustrate what I’ve been saying and some links to excellent resources. And be sure to look for the Special Announcement at the end. 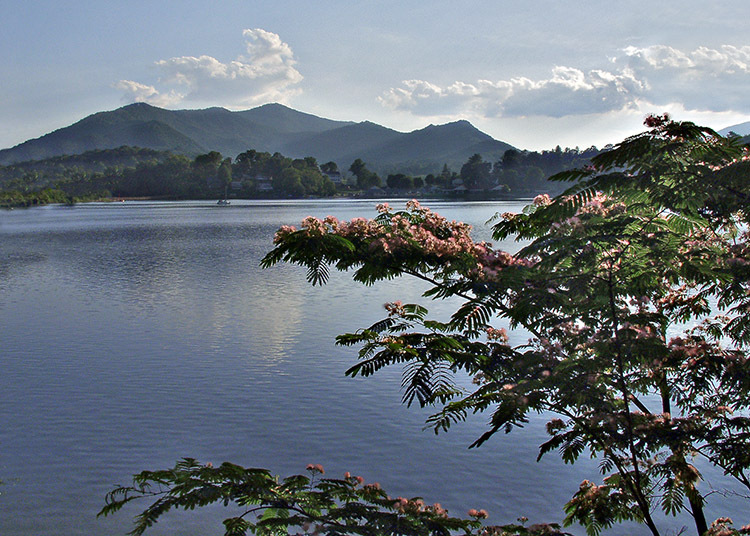 • There are several more photos of the lake in my previous post, Reflective Moments at Lake Junaluska. • Digital Photography School is a great site for anyone looking to improve their photography skills. • Once again, here is the trail guide published by the Lake Junaluska Conference and Retreat Center. 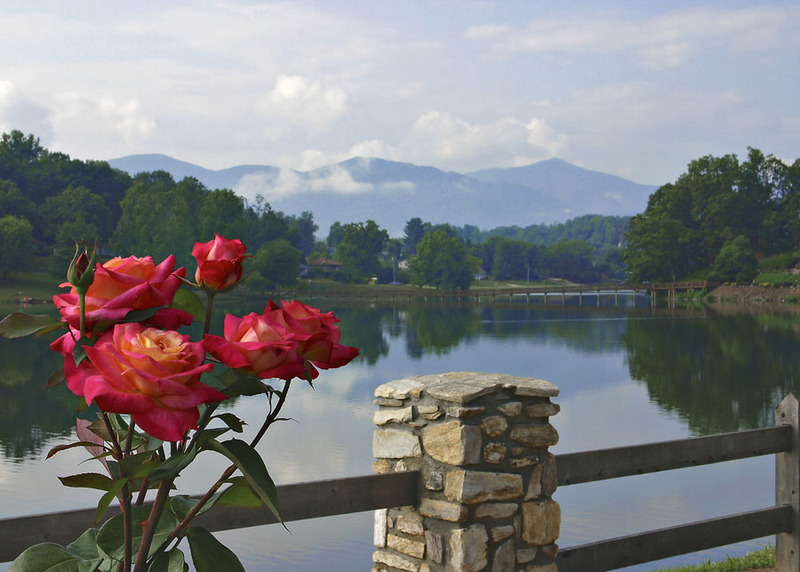 • Finally – and I think I’ve saved the best for last – here’s the link to my good friend Ed Kelley’s Junaluska Beauty website. 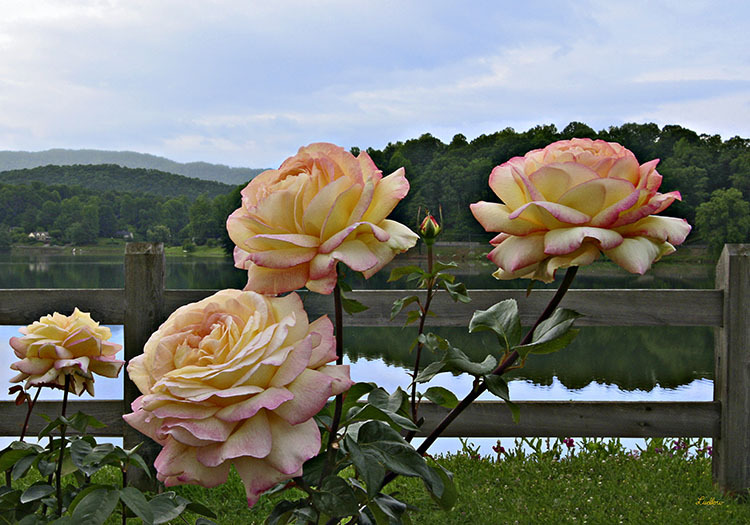 Ed brought all his considerable photography skills to this project, and his love for the beauty of Lake Junaluska comes through in every remarkable image. The many wonderful images he captured should provide you with plenty of ideas and inspiration for the Photowalk as well as for future visits. 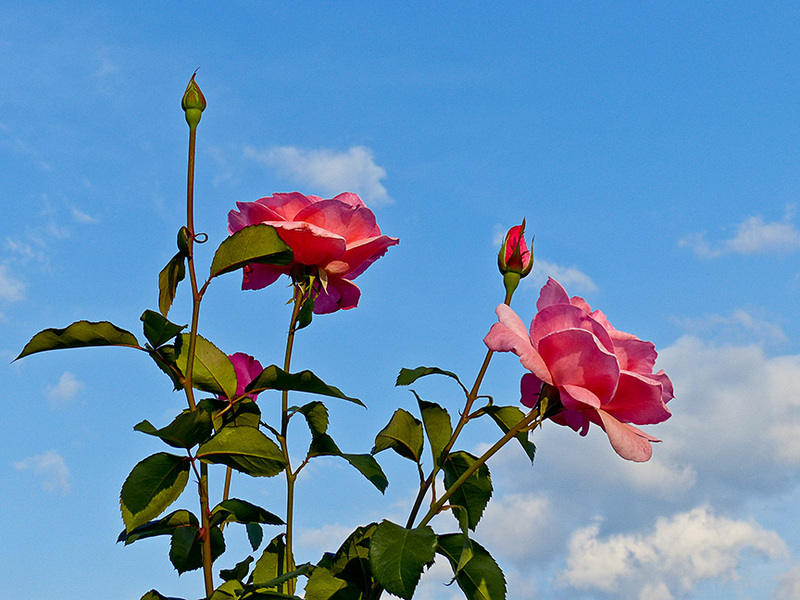 Please note that many of his images are for sale in several sizes and a variety of formats. Special Announcement: Ed Kelley says he’ll join us on the walk and will be happy to answer questions and assist with camera settings. See you on the 12th!! !